One of the greatest challenges for using 3D printers for high-precision use-cases like Aerospace & Defense, and BioScience & Medical Devices is that most 3D printers have relatively low printer resolution. This results in rough edges, extensive post-processing, and a lack of suitability for creating finished products. The variety of material is too large to list here. Just call us at 1-630-451-9033 or email us with details on your use case and we can discuss possible EnvisonTEC materials including specs and volume pricing. 3DSMAN is thrilled to be able to bring our design and manufacturing customers this high quality German product alongside our own localized sales, service, and consulting. If you’re looking to print strong 3D parts, check out the Mark Two 3D composite printer. 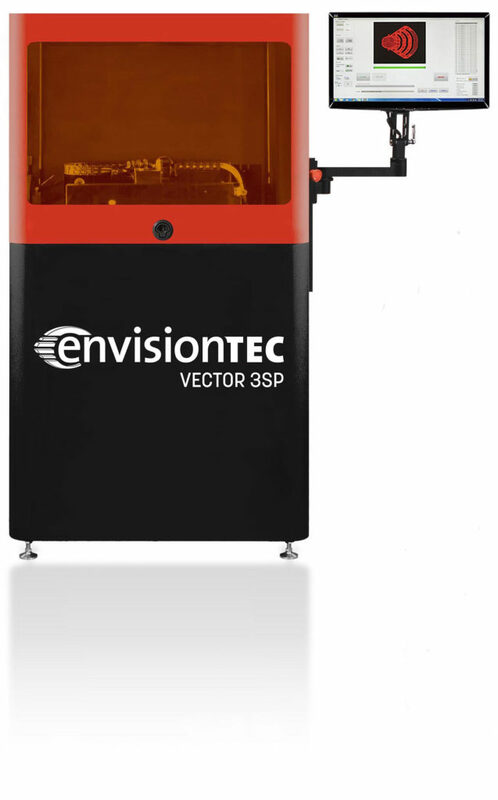 It’s capable of printing composite parts made of nylon, Kevlar, fiberglass, and carbon fiber. The resulting parts have a higher strength-to-weight ratio than Aluminum!